A plastic placemat used for food preparation or to provide a contrasting background. 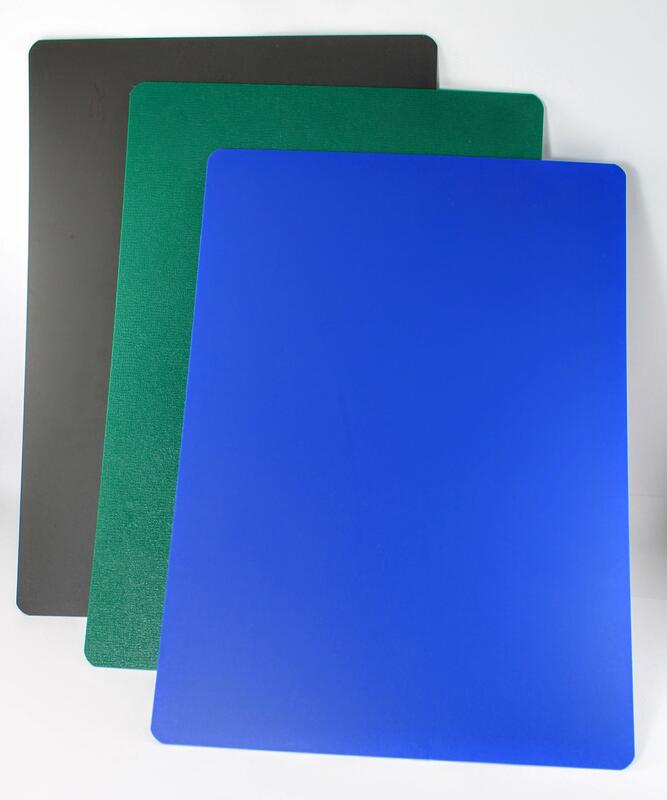 These mats are made of a hard but flexible plastic and can be used over any cutting board or directly on the bench. They can be bent to funnel food into a container. 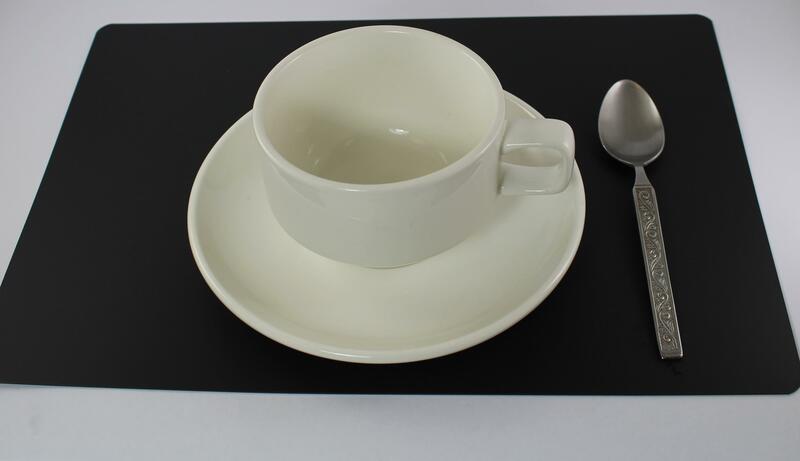 They can also be used under a dinner plate to provide contrast, or under a cup to assist with contrast with pouring. Try lighting with this aid as this will also improve contrast.